Bank of Canada Takes Action Again! | Shawn Bhatt - Century 21 Coastal Realty (Surrey) Ltd. 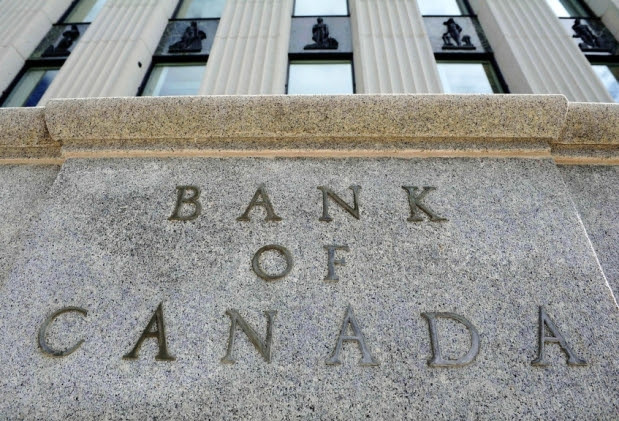 The Bank of Canada raised the target overnight rate another 25 basis points to 1.0% making it two hikes in a row following seven years of increasing monetary stimulus. The outsized 4.5% growth in GDP in the second quarter precipitated this action, despite two offsetting factors: the recent surge in the Canadian dollar, up more than 8% in the past three months, to over 81 cents U.S.; and the continued below-target rate of inflation. Today's monetary tightening comes at the same time that Federal Reserve officials are suggesting that another rate hike in the U.S. next week is unwarranted--adding further upward pressure on the loonie. The economic and political uncertainty in the U.S. has put considerable downward pressure on U.S. bond yields, while in Canada, interest rates are rising. The Canadian economy is on a tear, dramatically outperforming the U.S., and the battering by both Hurricanes Harvey and Irma will only widen the disparity. The growth in Canada is becoming "more broadly based and self-sustaining," according to the Bank's press release. Last week's Q2 GDP release showed that consumption is robust, supported by "solid employment and income growth". Business investment and export growth have also picked up. The central bank does, however, expect a more moderate pace of economic growth in the second half of this year. The housing sector has slowed in some markets--particularly around the GTA--in response to recent changes in tax and housing regulations in Ontario. But this is a change welcomed by the Bank and government authorities concerned about the continued rise in household debt. Tighter monetary policy portends further increases in mortgage and other lending rates. The Bank suggests that "given elevated household indebtedness, close attention will be paid to the sensitivity of the economy to higher interest rates." You can't get more transparent than that. The Bank of Canada welcomes a slowdown in housing and borrowing activity. Questions remain regarding the potential growth of the economy, which was earlier estimated by the Bank's economists to be about 1.7%. While the economy is closer to full employment than earlier forecasted, the Bank believes there remains excess capacity in the jobs market. This statement possibly suggests that the economy can grow at a faster pace than the Bank initially thought without triggering inflation. Inflation does not currently appear to be of primary concern. While inflation remains below the target rate of 2% and wage pressures are subdued, there has been a slight increase in the consumer price index and the Bank's core measures of inflation, which is "consistent with the dissipating negative impact of temporary price shocks and the absorption of economic slack." Once again the Bank of Canada reminds us the path of further policy decisions is not predetermined but will be dependent on incoming economic and financial data. This cautionary note is consistent with the "significant geopolitical risks and uncertainties around international trade and fiscal policies."